Imagine a scenario where a carrier was dead in the water. No-one inside. Could a plane land on the carrier? What would such a procedure look like potentially? The Nimitz Class aircraft carriers are the largest warships ever built. With over 6,000 personnel (crew and aircrew), the carrier has a displacement of 102,000t, and a flight deck length of 332.9m. 332.9m * 39 in/m * 1 ft/12in = 1081.9 ft. I think many small (2-4 seat) aircraft could land & stop in that distance. I'm pretty sure I could in my Cessna 177B, fixed gear, with micro-vortex generators for slower landings. Even without any headwind to help slow down. And that was before the micro VGs, so it should be even shorter now. Most carrier-borne aircraft can't: they need (at a minimum) the arrestor wire system to be functional and set to the correct weight. As jwenting said, smaller aircraft may be able to. A C-130 Hercules famously landed on a carrier (without arrestor hook), but that may have required wind over the deck (i.e. the carrier steaming against the wind at high speed). All VTOL's (Vertial takeoff or landing) planes will be able to land on an abandoned carrier, as they need a vastly reduced runway; it would be a bit like landing a helicopter. They will do so though at the cost of a huge amount of fuel and coolant; which may mean that they could struggle to do a return trip if they can't refuel. Carriers often stuff the deck with aircraft, or have the deck disrupted for other reasons. If the evacuation interrupted an evolution when the deck was cluttered or in repair, they may have just left it that way, and you could have a much smaller space to land in. Also, the evacuating forces are not fools. They will have made a fair effort to prepare the flight deck for whatever they expect to happen next. If friendly rescue is all but certain, they may clear the landing deck. Otherwise they would intentionally block it by positioning forklifts, tugs or (loaded?) ammo carts specifically to prevent an adversary from doing what you intend. Would they have time? Surely - a carrier takes a long time to evacuate. That said, you will have no trouble finding a variety of aircraft capable of even a desperation 1/8 deck landing that involves stopping by crashing into a forklift. The weather will be a significant factor! If there is a significant wind, it then matters whether the wind is aligned with the deck, or crosswind to it. Further, if the wind is high enough, you would be able to do essentially vertical landings using low stall-speed aircraft. 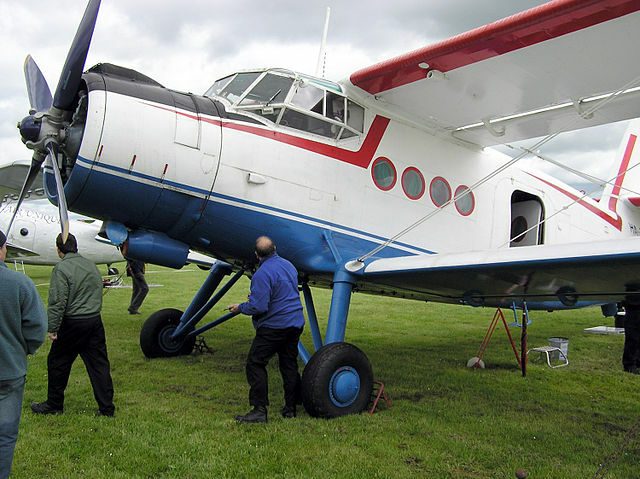 Here, our go-to bird is the Antonov-2. This thing is called the "Colt" but it's a beast. I chose that picture to show you how enormous it is. 4700 pounds of useful load (15 men and gear) and a stall speed of 30 mph, so in 26 knot wind it can essentially vertically land. That means viable landing in a worst-case crosswind. However for this same reason, you'll need to tie it down immediately on landing, or the wind could take it. So your crews better train that! Range is 525 miles on 800 litres of fuel, but you can "turn it into a flying gas can", trading useful load for extended range at about 2 pounds per mile. Doing so actually works in your favor, since this will mean a lighter landing weight and thus a slower landing. It is also feasible to use a variety of ships as an ad-hoc carrier for the An-2 or many other STOL aircraft, as long as a short runway could be improvised. The wind that makes landing favorable would also aid takeoffs. A container ship might be a good choice. Containers have varying height, so certain ones could be selected to yield an even top surface, with some welded-up bridge panels for the gaps. Suffice it to say, you could land quite a significant force on this abandoned carrier with a squadron of An-2‘s. You may also consider the An-3, a factory upgrade to a turboprop engine that may buy you some cargo capacity and/or range: one big advantage is that you can refuel an An-3 from the carrier's stores of jet fuel; carriers do not stock aviation gasoline. However, An-2's are plentiful and in service. An-3's are rare enough that if you acquire one of them (let alone sixteen), someone's bound to notice. The An-2/3 isn't actually Russian, it's Ukranian. Further, it's also manufactured in Poland under license, and while the FAA obstructs registration of Soviet bloc aircraft in the US, we have a trade treaty with Poland whose effect is Polish built An-2‘s are allowed. Once you have a force on board and are able to clear the deck, this would open to larger STOL cargo aircraft such as a DHC-5 Buffalo, which has meaningfully greater cargo capacity. However, these aircraft made in low production, so it's the same "people are going to notice" problem as you acquire aircraft and parts. Only after the carrier is made operational and able to self-propel into the wind, could you consider larger STOL craft like the C-130. Again, if the crews intended it, on their way out, they could assure no one but a heavy drydock could get it operational. In particular, nuclear reactors are not to be trifled with. Planes specially modified for short landing would be able to land in almost any conditions - some even across the flight deck instead of along it. However, considering an aircraft carrier dead in the water would be a suspicious occurrence, I suppose the "plane" used would be an V-22 Osprey, with the option of vertical landing. The operation would use naval fighters in top cover, more naval fighters in bombing configuration, electronic warfare birds (for jamming anything), probably a submarine for underwater cover, and probably many more things. The Marines would fly in helicopters or Ospreys at sea level and rappel down (probably) above the carrier. Landing planes on the carrier might not take place until the carrier is considered "secure" - six Ospreys might be used to rappel down about 200 marines (or SEALS). Also, SEALS might choose to swim to the carrier and enter it either via climbing to flight deck or other accessible entry points, or even breach (break) into it. Depends on the aircraft, obviously. Something that needs less runway to stop than the length of the landing area of the flight deck should have no problems. Of course that's assuming the deck is clear and the aircraft small enough to not hit the island or other obstacles. Something like a Piper Cub or Beaver could probably do it. An F/A-18 likely could not. Not the answer you're looking for? 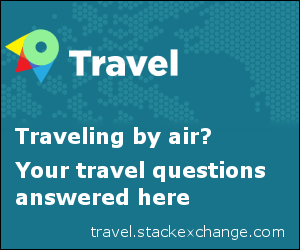 Browse other questions tagged landing aircraft-carrier or ask your own question. If I have a float plane, can I land on any body of water? Where can aircraft carriers carry out air operations? Do carrier-less militaries maintain carrier qualifications on allied boats? Could a plane land on specialized vehicles if its landing gear failed?